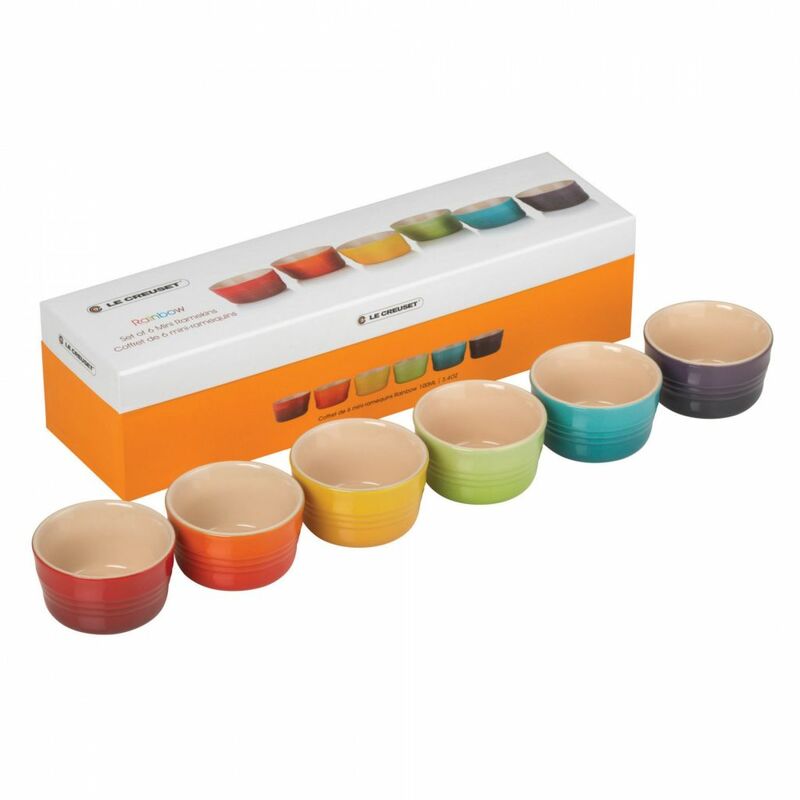 Presented in a stylish gift box, this colourful set of six ramekins (100ml each) is the perfect gift for any fun loving chef or for yourself! These charming ramekins are the perfect size to enjoy a deliciously cute meals or desserts. Why not impress your guests when you entertain by serving individual desserts such as chocolate mousse or key lime pies. 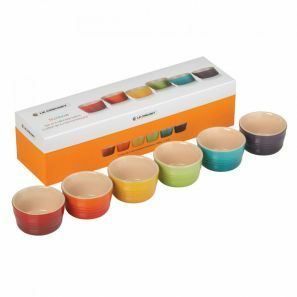 Coming in a selection of six rainbow colours (Cerise, Volcanic, Dijon Yellow, Kiwi, Teal and Cassis) these petite ramekins will beautifully accent your kitchen and table.